Our Spring series is beginning soon! FEE: $240 for class series (8 sessions) … special family rate available! Ready to hit this big drums? 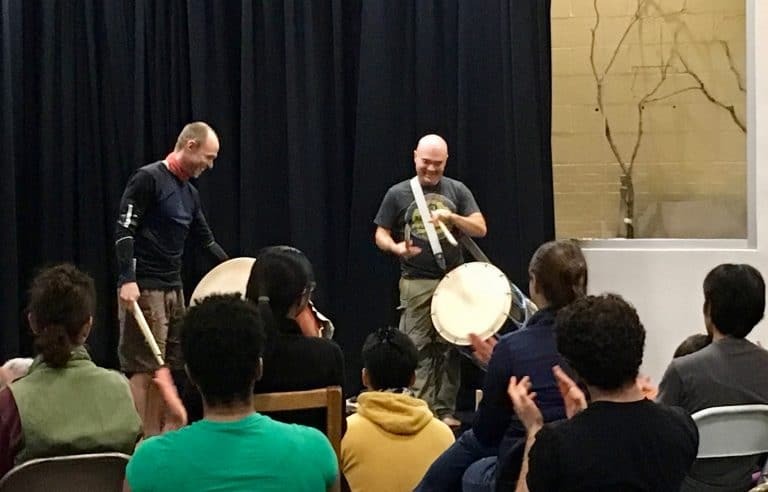 Sign up for our one of our Introductory Taiko Workshops (on April 27 or April 28) so you can join our next class series! Taiko is a dynamic art-form based on traditional Japanese drumming practiced all over the world. 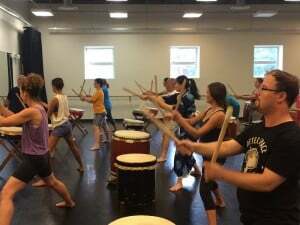 This Adult Recreational Taiko class is designed to introduce the fundamentals of taiko technique, practice of kumidaiko (ensemble drumming), awareness of ki (energy), use of koe (voice), history and philosophy—all while having a good time! Come ready to meet awesome people and get a great workout! 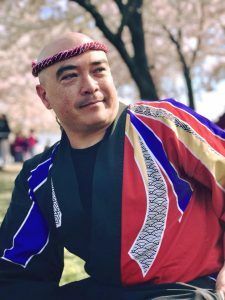 Prerequisite: one of Mark’s Introductory Taiko Workshops (the next one is coming up on Sunday, January 13) or previous Taiko experience. Please contact Mark H if you’re not sure this class is right for you. Be sure to check the calendar for Mark’s upcoming workshops! If you’ve taken at least one complete Rec Class series, contact Mark H to see if there’s space for you to drop in. If you’re new to the class, you should plan to attend at least 6 of the the 8 classes. If your schedule doesn’t allow for this, please consider waiting for our next series.